It's been announced that Microsoft is planning to spend a whopping $3.7B in China over the next five years. Apparently Microsoft has signed an MOU with China's top economic planning body, the National Reform and Development Commissions (NDRC). According to Red Herring's story on this topic, the MOU states that "Microsoft will provide $100 million to support domestic Chinese software enterprises; will purchase Chinese software products and tech support, software development, and testing services worth $100 million; and will make hardware purchases in excess of $700 million each year for the next five years." In other Microsoft and China news, PC Advisor is reporting that Microsoft is stepping up its search research in China in order to fight for marketshare. 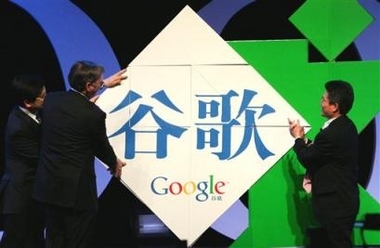 They have built a search technology center in Beijing and plan to introduce better Chinese search later this year. Over at Pacific Epoch they are reporting that China's Ministry of Commerce has announced that China's e-Commerce transaction volume totaled 740 billion Yuan (about USD $93 billion) in 2005. He also reported that during this past year, China's e-Commerce transaction volume grew 50 percent year-on-year and the number of online shoppers increased to 22 million, a 6 million increase from 2004. I think this is an important announcement as e-Commerce is an area that has been developing a bit more slowly than other online segments such as advertising. Some attribute this to things such as cultural differences, the nacent credit card market, and other factors. Apparently the Chinese are starting to get past these various roadblocks and are getting comfortable in using the Internet more and more as a shopping platform.